This book addresses the problem of how to fight corruption in the public sector. The study presents a comprehensive analysis of corruption that not only highlights the problems, but also potential solutions for a broad range of corruption manifestations in tax administration, government expenditure programs and other areas of fiscal policy and management. The analysis and discussion is supported and clarified by relevant real-world examples and empirical analysis. In particular, country-specific examples are used to identify key issues and valuable lessons for reducing corruption. It provides a comprehensive overview of corruption issues. It covers the different forms of corruption: administrative and political corruption. It identifies successful policy responses. INTRODUCTION TO THE SERIES. List of Contributors. Preface. Overview. INTERNATIONAL COMPARISON PROGRAM IN THE 1980's AND 1990's. LATIN AMERICAN COMPARISONS FOR 1985. 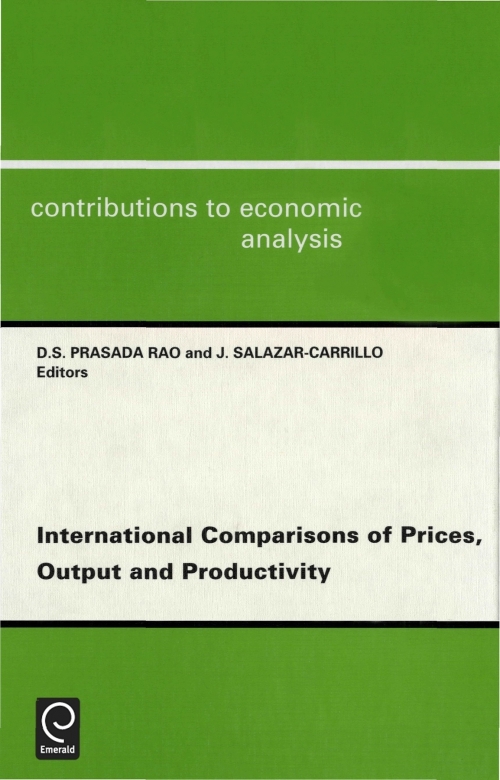 INTERCOUNTRY COMPARISONS OF AGRICULTURAL OUTPUT AND PRODUCTIVITY, 1970 - 1990. A PERSPECTIVE ON INTERNATIONAL COMPARISONS OF CAPITAL. 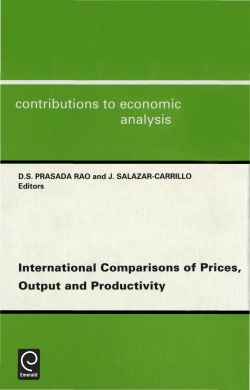 COMPARATIVE PRICE AND PRODUCTIVITY LEVELS. CHINA. AN ASSESSMENT OF THE UNITED NATIONS SCALE OF ASSESSMENTS, 1946-1994. VAN IJZEREN'S METHOD OF INTERNATIONAL PRICE AND VOLUME COMPARISON. CONSISTENCY IN AGGREGATION PRINCIPLE FOR MULTILATERAL COMPARISONS OF PURCHASING POWER PARITIES AND REAL PRODUCTS. STOCHASTIC APPROACH TO INTERNATIONAL COMPARISONS OF PRICES AND REAL INCOME. STRUCTURE OF INTERNATIONAL PRICES. A RECONSIDERATION OF LOG-CHANGE INDEX NUMBERS FOR INTERNATIONAL COMPARISONS. REGRESSION ESTIMATES OF PER CAPITA GDP BASED ON PURCHASING POWER PARITIES. THE PPP DOCTRINE, LONG TERM EXCHANGE RATES AND A NEW METHOD TO ESTIMATE REAL GROSS DOMESTIC PRODUCTS. PRODUCTIVITY, FACTOR ENDOWMENTS, MILITARY EXPENDITURES, AND NATIONAL PRICE LEVELS. Index.